John Kiriakou is a former CIA officer. Back in 2007, he became the first US government official to confirm—and condemn—the practice of torture by CIA interrogators. 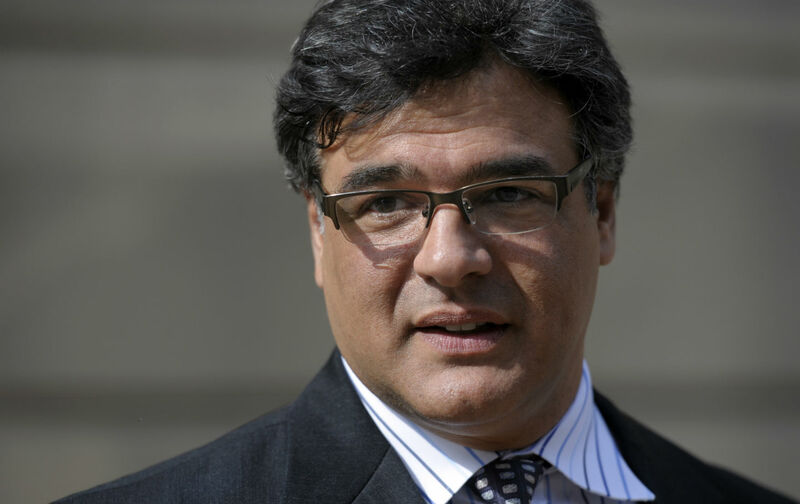 After a drawn-out legal battle, federal authorities convicted Kiriakou of leaking classified information and handed down a prison sentence. He remains the only US official to serve time following the revelation of the CIA’s “enhanced interrogation” practices. In February, after serving two years in a federal prison in Loretto, Pennsylvania, Kiriakou was permitted to serve the remainder of his sentence under house arrest at his home in Northern Virginia. Under the terms of his release from prison, he was required to check in daily at a local halfway house in Washington, DC, until May 1 of this year. He’s now on federal probation. I left Loretto on February 3 of this year. My last hour there was a little stressful—not because I was anxious to get out (although I was), but because of one final attempt by a trollish prison employee to set me up just as I was leaving. Every Tuesday, I had to meet with my case manager and give her a copy of my proposed movement for the week—a list of doctor’s appointments, visits to Hope Village, meetings with my attorneys and prospective employers, and plans for the weekend. I also had to give her receipts from the weekend to prove that I did what I said I would do, and a copy of my monthly phone bill. You would think that would be an incentive for Hope Village to help people find a job, but it’s not. Aside from a bulletin board in the office listing job openings at fast food restaurants, car washes, and motels, there’s no program to get anybody a job. Just get a job—any job—on your own, and go home and pay your rent. I was finally offered a position as an associate fellow with Washington’s pre-eminent progressive think tank, the Institute for Policy Studies. Before I accepted any of them, I looked at the BOP’s regulations related to press interviews at www.bop.gov. The regulations were clear: I needed to get BOP approval for interviews while incarcerated. I then checked the halfway house’s website. It said that residents of Hope Village had to get the director’s permission before speaking to the press. I was neither incarcerated nor a resident of the halfway house. So I accepted a number of interview requests, including with Democracy Now!, RT, and several print outlets. Within days, I received a call from a BOP official in Baltimore. He said that he was “very concerned” that I’d had unauthorized contact with the press. I told him that, on the contrary, I had read the regulations and didn’t need BOP approval. Furthermore, I had read the Hope Village regulations, and I didn’t need their authorization either. The future looks promising. I intend to make a living writing, speaking, and teaching. I will write op-eds for the Institute’s OtherWords editorial service and its Foreign Policy In Focus website. I’ll speak at colleges, universities, nonprofits, and to other groups, and I’ll teach a course I’ve developed on ethics in intelligence operations. Additionally, after what I’ve been through, my voice will be heard on prison reform—no matter how much of a pest I have to make of myself.